Leyland and Chorley Men’s 1st XI competed in North West Hockey League Division 4 North in 2016/17 season under the leadership of captain Nick Dunn then followed by Simon Mayers finsihed 7th. They will continue to play this season in the North West Hockey League Division 4 North/North under the leadership of Jordan Schultz. Leyland and Chorley Men’s 2nd XI competed in North West Hockey League Division 5 North/North in 2016/17 season under the leadership of captain Matt Evans Leyland finished 6th in the league. They will continue to play this season in the North West Hockey League Division 5 North/North under the leadership of Jordan Schultz. 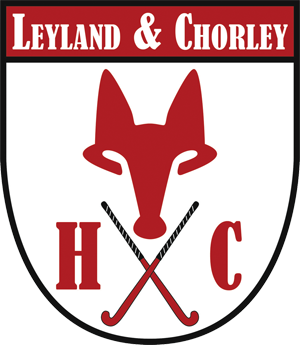 Leyland and Chorley Men’s 3rd XI competed in North West Hockey League Division 6 North/North in 2017/18 season under the leadership of Gareth Horrocks and finished 9th in the league. They will continue to play this season in the North West Hockey League Division 6 North/North under the leadership of captain Steve Farnan. Although its been a tough season conceding many goals and scoring few, its all about development and continuing to provide young players the opportunity to play hockey and gain experience, as well as some of our seasoned veterans a chance to continue playing and pass on there experience to the juniors players. The Teams pride themselves on a professional approach to the sport but never forgetting the essence of enjoying hockey to the full and offering a great place to play hockey. We would welcome any new players who would like to join us, please either contact a member of committee below or feel free to turn up at a training session.